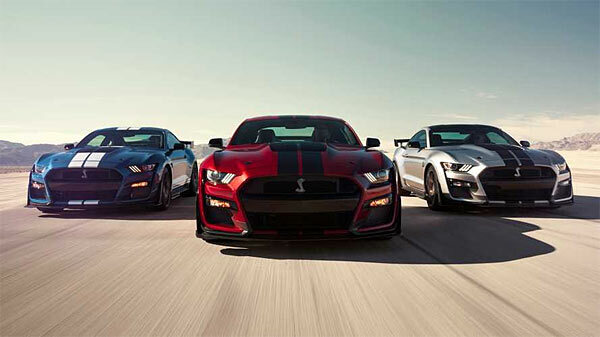 The recently announced 2020 Mustang Shelby GT500 promises to be the most potent GT500 yet and the peak of the sixth generation Mustangs. The vehicle is being promoted as a ‘track-ready car’ with the additional peace of mind that the Ford warranty covers you taking the car to the track. All GT500 will have a 3-year/36,000 mile bumper-to-bumper warranty along with a five-year 60,000-mile powertrain warranty. This means if you want to pop down to the dragstrip or a test and tune track you’re still covered by the warranty. However, if the vehicle is entered into a bracketed heat at a track, this will then void the warranty. This is the same warranty cover for all Mustangs, which ironically is the same offered by Chevrolet, but only on the Camaro SS and above. Dodge say taking a Challenger to the track won’t void the warranty, but if issues arise, Dodge will look at the case on an individual vehicle basis. As the new Mustang GT500 will have a force fed 5.2L V8 with 2.65-liter Eaton supercharger, through a Tremec’s 7-speed dual-clutch transmission and good for a quarter-mile in under 11 seconds or 0 – 60 mph in the mid three seconds, you can expect to see a few of these coming up on track days in the near future.